PALOS VERDES ESTATES — South Coast Botanic Garden, 26300 Crenshaw Blvd. 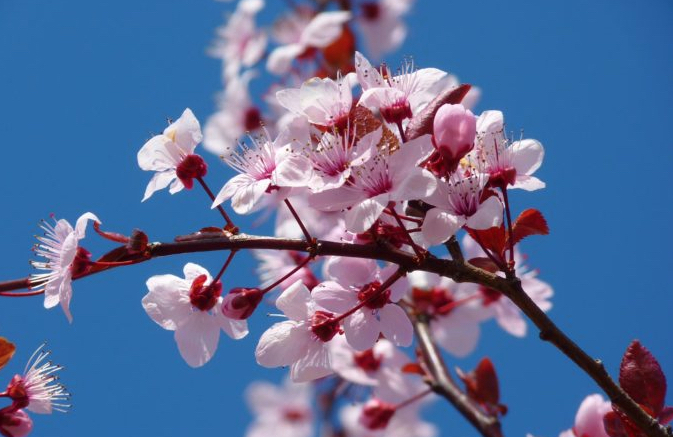 in Palos Verdes Estates, will present its annual Cherry Blossom Festival on Saturday, March 2, from 11 a.m. to 4 p.m.
With a short blooming season, many believe cherry blossoms symbolize the fleeting beauty of life. It is also the national flower of Japan. Take part in “hanami” or cherry blossom viewing as you stroll or picnic in the Upper Meadow. Travel to Japan through sight, taste and sound with picnic bento boxes for sale by Okamoto Kitchen and live performances throughout the afternoon, including taiko, ukulele, and traditional Japanese dancing. Enjoy live demonstrations and workshops while celebrating the bloom of the cherry blossoms. Special thanks to the Gardena Valley Japanese Cultural Institute for sponsoring the craft portion of the festival. Free with membership or general admission. For more information, call (310) 544-1948 or visit https://southcoastbotanicgarden.org.